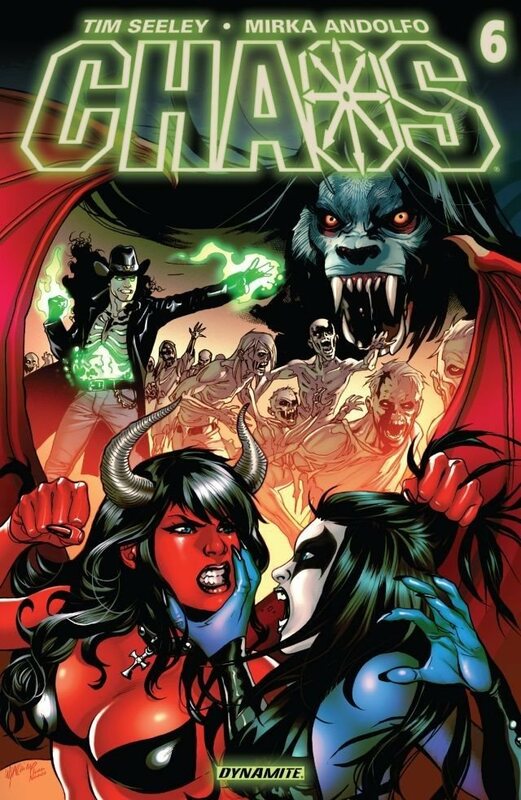 The final issue of the epic Chaos event, redefining Evil Ernie, Chastity, Purgatori, the Chosen, and the greatest horror comic universe of all time! A wave of suicide engulfs the United States. The conflicting forces of the Chaos Universe arrive at the Fairview Mental Institution to determine the fate of the world. Is it a new beginning or a new Armageddon?